This 868-page leather-bound volume contains a huge collection of Carroll's stories. Included are: "The Hunting of the Snark"; "Rhyme? And Reason? "; the Sylvie and Bruno books; A Tangled Tale; the original "Alice's Adventures Underground"; two never-before-printed poems, and, of course, "Alice's Adventures in Wonderland" and "Through the Looking Glass". If you like Carroll's stories, you'd better make sure you have this edition! 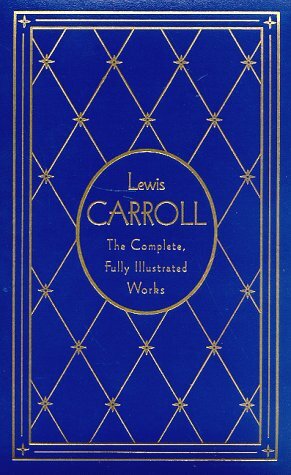 This deluxe edition includes all of Carroll’s major fiction and poetry, including Alice and Wonderland and Through the Looking-Glass, the facsimile of the manuscript of Alice’s Adventures Under Ground in Carroll’s handwriting and with his own drawings. 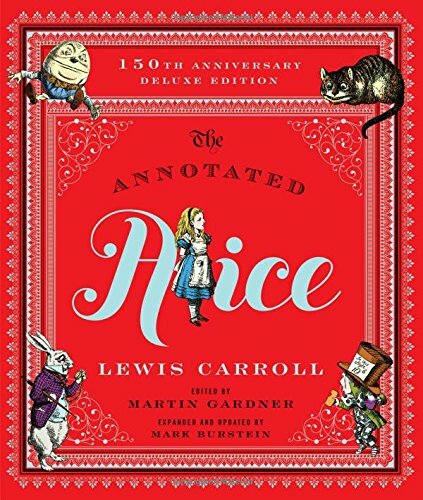 Also included are a biographical chronology of Lewis Carroll’s life, and a selected biography. This beautiful, 868-page leather-bound volume contains a delightful collection of stories from one of history’s most beloved children’s authors. Lewis Carroll’s stories are still as fresh and appealing as when they were first published more than a century ago. John Tenniel’s original illustrations accompany the Alice stories and bring to life the wildly popular characters so well known to us all: the Mad Hatter, the White Rabbit, the Cheshire Cat, and a passel of others. Carroll, one of 11 children, knows his audience well. His stories–clever, provocative, and bizarre–capture the imaginations of children worldwide. Though a prolific storyteller from childhood, he went on to become a mathematician, a fact evidenced by the Tangled Tales serial, which contains a mathematical equation in each installment. Other stories included in this collection are “The Hunting of the Snark,” which was composed backward, in a sense, when inspiration for the tale came by way of the last line; “Rhyme? And Reason?”; the Sylvie and Bruno books; and the original Alice story, “Alice’s Adventures Underground,” penned and illustrated in Carroll’s own hand. Two never-before-printed poems, originally inscribed in two storybooks and presented as mementos to a little girl and boy, conclude this enchanting collection. 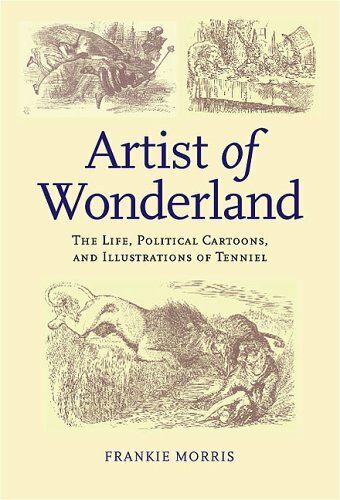 About the life, political cartoons and illustrations of John Tenniel, the illustrator of the ‘Alice’ books. 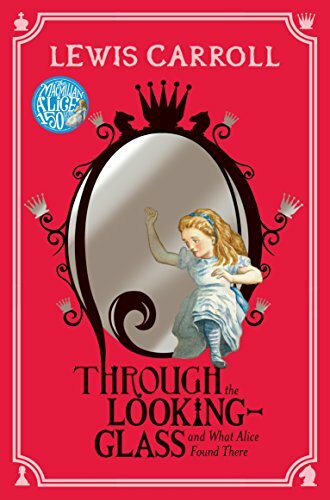 Through the Looking Glass and what Alice found there, with the original illustrations by John Tenniel. Paperback. 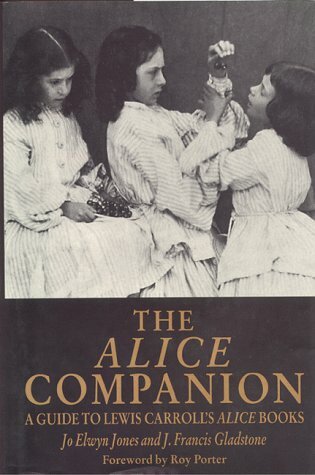 The book describes the childhood of Alice Liddell and considers the connection between Alice Liddell, the Alice from the book and Dodgson/Carroll by means of anecdotes, historical information on childhood life in Victorian England, family trees for Alice, Dodgson, and Queen Victoria, biographical details, descriptions of the Oxford setting (including a walking tour), photos, etc.. The book also contains games and puzzles invented by Dodgson. 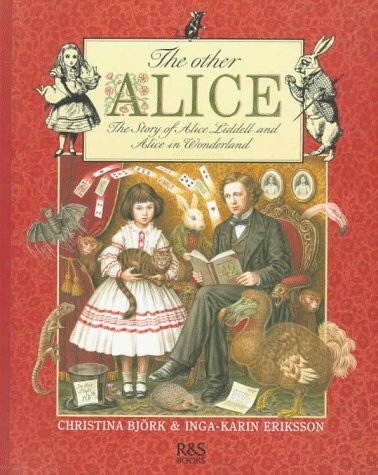 This “companion” to the Alice books offers an explanation of the characters and situations that fill their pages and explains how they relate to the life and experiences of Charles Lutwidge Dodgson. 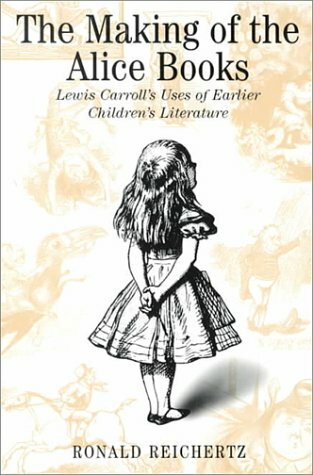 Ronald Reichertz analyses the Alice books in the context of children’s literature from the seventeenth through the nineteenth century, and argues that Carroll’s originality was the result of a fusion of his narrative imagination and formal and thematic features from earlier children’s literature.